I have recently found myself checking the price of PPCoin on a daily basis. Obviously this sort of thing can be automated with a script, so here it is. Powershell was brought into service for this one: I haven’t got much experience with Powershell so had to google my way around, and learnt something in the process. And there you go! Powershell to the rescue. The following script will create a new phonebook entry in Swyx. You’ll need the IpPbx PowerShell modules installed first. Oh, and be sure to replace [servername] with, well, the name of your server. WILL BE DELETED DURING INSTALLATION! This is because it installed the modules in the folder on the server, and network paths are not trusted. 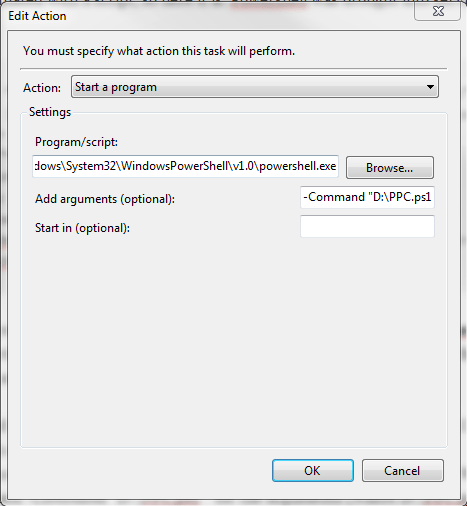 Instead, install for all users – option 2 (you need to run the PowerShell command prompt as Administrator). If it does, then all should be well.